The term pollution is defined as the emission of unwanted materials into the atmosphere, which can cause or affect the well being of the eco-system. Pollution is the main reason we are trying to espouse green living. Pollution can be differentiated into many categories and each kind of pollution has its own effect on the nature. Indirectly, the most dangerous kind of pollution is the soil pollution because the plants and trees grow on the soil and if this soil is polluted, complete and effective growing of plants and trees cannot be achieved. 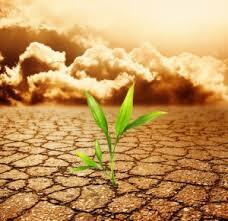 Plants are the natural Co2 absorber and if the soil is polluted, the eco-system will be indirectly affected. 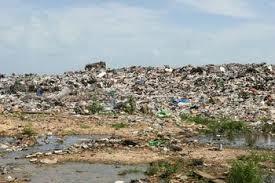 Soil pollution is increasing now a day because of the technology and industrialization. Man is being selfish for his own deeds. Use of pesticides, herbicides and fertilizers. Electronic Waste and so on. 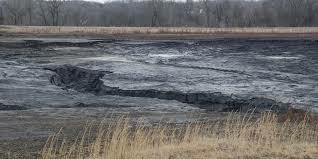 Coal ash is used in the commercial, residential, and industrial processes such as the ore smelting, which became the main reason for the soil contamination in that region. Coal naturally contains zinc, lead and other heavy metals. And when this coal is burned, most of the metals come out with the ash and get into the nature. This coal ash and slag can be recognized by the presence of white grains in the soil or bubbly small sized grains in the soil. 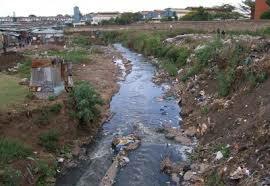 Sewage waste is also known as sewage sludge comes from the fertilizers that are used in the soil. It generally contains organisms, heavy metals and pesticides other than the soil. But, this was allowed in the early 1990’s because it has good agricultural properties as it contains nitrogen and phosphate. However, it also leads to soil pollution. Pesticides and Herbicides also contribute to a certain amount because it is put into the soil to kill the microorganism and other insects that get to the plants. But, in this process, the soil is losing its fertility and is degrading. Herbicides are used to kill weeds, but, however, one group derived from trinitrotoluene has the toxin, which can affect in low concentration. Another herbicide is Paraquat which is highly toxic, but rapidly degrades due to the action of the bacteria and it does not affect the soil plants. Insecticides are used to get rid of the pests that damage the crops. These insects not only damage the grown plants, but also the seeds that are buried under the soil. However, insecticides also affect the soil in a huge way. As mentioned above, soil pollution can have certain effects on Human Being and also on the Eco-system. The health effects are caused when we have direct contact with the contaminated soil or by inhaling the vaporized contaminants from the soil. The health is affected based on the type of pollutant and the depth of the concentration. 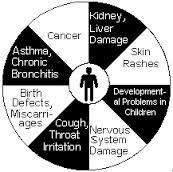 Congenital disorder can be caused due to chronic exposure to lead, heavy metal, pesticides, chromium, solvents or any other herbicides. The man made products of naturally occurring substance such as ammonia and nitrate, which is manufactured from the livestock manure is also said to have health hazards. Leukaemia is also caused by chronic exposure to Benzene. Mercury is said to affect the kidney. Many solvents induce Kidney changes, liver change and also affect the nervous system. Soil contamination can also affect the state of eco-system. The change can arise from the chemicals that too in low concentration. The result can affect the food chain, which can affect the predators or consumer species. No matter the kind of species being affected, the species depending on that and the continuing species will be affected. Some of these effects are well known such are the weakening of the eggshells, extinction of the species and increased chick mortality. It also affects the agricultural lands which directly affect the plant metabolism, which reduces the yield of the crop. This will give the plants lesser hold on the soil, and so the erosion cannot be stopped by these plants. As these chemicals have long life spans, it will remain in the soil for a long time and keep affecting the nature. Take away the soil and dispose it far away from the human or ecosystem contact. Aeration of the soil at the contaminated site. Vapor extraction can be made with the help of thermal remedies. The temperature will heat up the chemicals and bring it out of the soil. ISTD, ERH and ET-DSP are some of the techniques. Land farming and bio-stimulation are the techniques that use microbial bacteria for digestion. Ground water extraction with the active electromechanical system, which strips out the chemicals from the soil. Use of more plants on the soil. This will give fewer yields for the first inlets but as time progress, the soil will get its own old fertility. Soil pollution is a new kind of pollution that is increasing. If certain measures are taken at the right time, we will be able to cut down a huge burden from our shoulders. Organic methods of faming are encouraged a lot and also the use of plants to remove the pollutants is also increasing. However, we should start working from now to reduce the impact on the future generation. Go Green! Save Earth!